You want to get some professional development time on your calendar. But the budget is tight. Your manager says there isn’t a lot of money to spend on career development activities. And frankly, you don’t have a lot of time to dedicate to it either. It’s important, but not “I’m going to get an MBA” important. What are Examples of Professional Development? 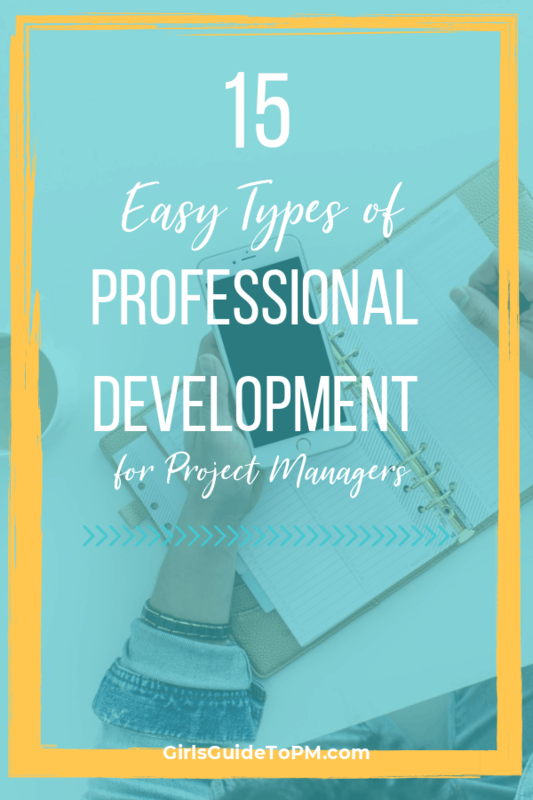 In this article I’ll share 15 easy ways to develop professionally. But first, let’s look at what professional development is. Professional development is all about how you build your skills in your field. As a project manager, you might take a short course to learn more about capacity planning. 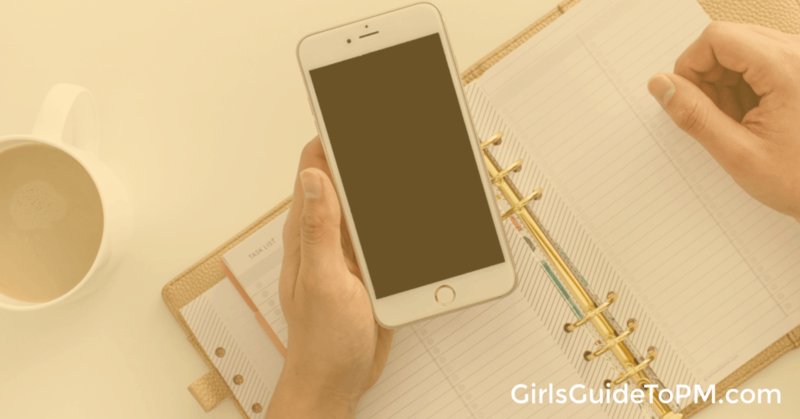 As a team leader, you might watch some YouTube videos on ways to connect with your team during virtual meetings. So that’s the kind of things we are talking about, OK? Before we dive into how to do professional development (with more examples), let’s talk about how planning out why anything you do for career development matters. The best way to ensure you actually do some professional development is to make a plan. Whether you want to achieve a certification, gain more confidence, build your technical skills or something else – it isn’t going to happen unless you make it happen. What professional development you need to do. Go on, take half an hour to fill it out. I’ll wait. Your boss doesn’t consider you for a promotion but you now have an awesome CV and are snapped up by another organisation. Basically, the benefits of professional development are that you get to grow in your career into bigger and more responsible jobs. And that comes with the chance of a greater salary, leading larger teams and being more confident at what you do. So what does doing professional development look like? Here are some suggestions of ways to build your professional capability easily. Some involve an investment, but many don’t. You’ll be sure to find something in the list you can implement tomorrow to start gaining new skills. Journalling works. Take some time each day or each week to write down how you felt your work is going. Think about what you did well and what you didn’t. Mind-map your goals. Doodle your thoughts about your career. Let it all out on to paper, then close the notebook and let your subconscious work on how you are going to achieve the changes you’ve thought about. If journalling feels a bit out there for you, I have another (less woo) suggestion below which achieves a similar aim. It’s number 8. Ask for feedback. Ask your manager, your team, your subordinates if you have any, your colleagues. If your HR department runs a formal 360 degree feedback programme, get into that. The feedback you get will astound you and be incredibly valuable in planning your professional development. Networking? On a list of things that are supposed to be easy? Networking is easy! If it feels outside your comfort zone it’s probably because you haven’t done it often enough or planned it properly. Do something small, like attend an internal work town hall meeting and speak to one new person in the queue to get coffee. Then build up to attending industry seminars. You can do it, and just the act of challenging yourself to do it will help you develop all kinds of skills. 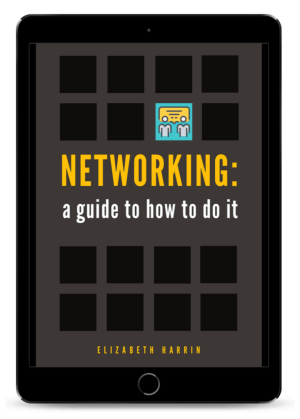 Get the Networking Guide by clicking here. Be honest, you know what you aren’t very good at, don’t you? Do it better tomorrow. It’s low cost, low stress and you’ll feel awesome when you’ve cracked it. Getting a professional certification can help your career – studies like the PMI Project Management Salary Survey (2018) show that certification is directly linked to earning more money and it certainly can’t hurt your employment prospects. Think about what qualification would be the most meaningful to you as there are plenty of certificate schemes out there. This is an easy one to decide to do, less so to follow it through as you actually have to study and then take an exam. But it’s worth it. One of my favourite ways to take time out to work on my own professional skills is to go to a conference. Being surrounded by so much positive energy and so many amazing speakers is a great opportunity for me and it always leaves me feeling so happy about the line of work I have chosen. And I learn something new every time. Will you get the same buzz? You’ll never know unless you sign up for one and go along. A community of interest can take many forms, from your professional community of project managers at work, perhaps organised by your PMO, an online community or an industry group or professional body that you are part of – one that has regular meet ups. Whether you join the Project Management Café group on Facebook, the PMO Flashmob, or the discussion groups on LinkedIn, you’ll learn something if you chip into the discussion and meet new people. OK, so journalling isn’t for you. Take a walk at lunchtime and don’t think about what your stakeholders are up to and why your team isn’t getting their work done. Think about you, how you reacted to a situation, how you could have kept your cool better. Or where you want to be in 5 years’ time. We often don’t build enough thinking time into the day. Without it, you can’t focus on what’s important to move forward professionally. Conference papers and informal chats with your community members can only take you so far. To get in depth about a subject you really need to read up on it. And, although I’m a blogger myself, I would say that 99% of blog posts and online articles don’t go deep into a subject. For that, you need to turn to the good old fashioned book. Get one on a subject that interests you and drink it all in. This is probably the hardest thing to do on this list because it involves effort in selecting someone, paying for their time (if they aren’t part of an in-company mentoring programme) and then spending time working with them. You can develop incredibly with the support of a mentor. If you feel this would benefit you in taking your work to the next level, go for it. You’ll quickly find out how it can benefit you, and it will be worth making the investment in your career. Want to take your project management career to the next level? Check out Project Management Rebels, a 6-month group mentoring programme for people like you. It’s fantastic to be mentored but mentoring someone else will give you a totally different experience. It’s a good way to build your leadership skills and to make new connections. 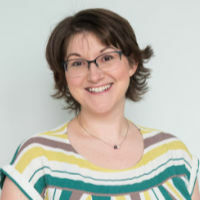 Mentoring is simply supporting someone else through their career journey, and you can learn from them at the same time, as well as developing your own skills in listening, teaching and coaching. Ask your manager to give you time away from your day job to do something else. This could be a secondment to a big project, a period of time for study or a shift to another department for 6 months. This is time where you can try out something new and come back to your job feeling as if you have developed new skills – that is, if you want to come back at all. There are plenty of courses that don’t lead to qualifications. These are worth looking at for professional development as well, especially those around soft skills and leadership. However, in my experience it doesn’t much matter what the training is. Getting time away from the office to focus purely on learning something new or developing deeper expertise in an existing skill will help you return to work feeling refreshed. These days, there are plenty of options for online learning that you can do around the edges of your day job. You don’t have to wait until the end of the year to review your progress with your manager. If you want time with them to talk about your objectives and professional development, book it. Many managers aren’t that great at managing. Manage up. It’s OK, they might be grateful and if they are trying to do management well then they’ll appreciate the fact you are making it easy for them. I have someone at work whom I turn to with questions. Recently I asked her how she dealt with project issues in our project management software. She doesn’t know she’s my buddy (she might now if she’s reading this) but we’ve got the kind of relationship where we can bounce ideas off each other. She asks me for tips, I ask her. We don’t meet up that regularly but when we do it always ends up in sharing good advice, strategies for dealing with particularly tricky situations and I respect her opinion. Find someone like this at work. It’s a fast way to get answers and to learn from each other in a supportive environment. If you want to show your manager that you are ready to take on more responsibility at work, lead a bigger team or more complex projects, then you need to demonstrating that you have the skills to do it. No one is born brilliant at their job – the most successful people in your office will have worked at their skills for some time. So if you want to be like them, you need to work at your skills too. The good news is, it isn’t hard to make professional development work for you because not everyone is doing it. The truth is, many people aren’t investing in their career development. They are coasting. And probably doing a pretty good job, but they are either happy at the level where they are currently performing or they aren’t bothered about professional growth. That’s great for you, because it means anything you do to boost your skills is actively taking ownership of your career. You’re more likely to get your goals and the job you want, because you’re going for it. Even if you aren’t interested in a ‘bigger’ job (which is going to come with more stress and possibly more hours at work), career development gives you massive confidence to do what you do well. That confidence boost alone makes it worthwhile. The other reason why it’s important to do professional development for project managers is that your professional body expects it of you. PMI requires credential holders to undertake professional development regularly (normally over a 3-year cycle). There are similar requirements from IPMA organisations, as well as related professions like business analysis. You will be expected to keep a professional development log of the activities you’ve done so that you can evidence your commitment to continuous learning. So, what are you going to do to develop your professional skills?